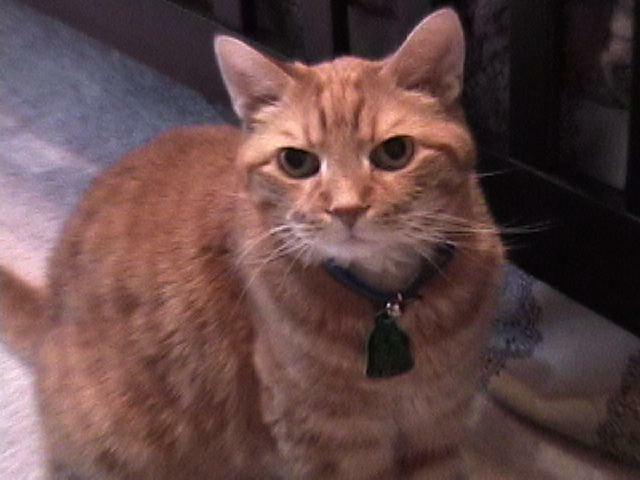 Thomas.Age 19: A message from Sam's Mom:"Sam went to his heavenly home on Sunday, September 2, 2007. He is anxiously waiting for his parents David and Linda Thomas. 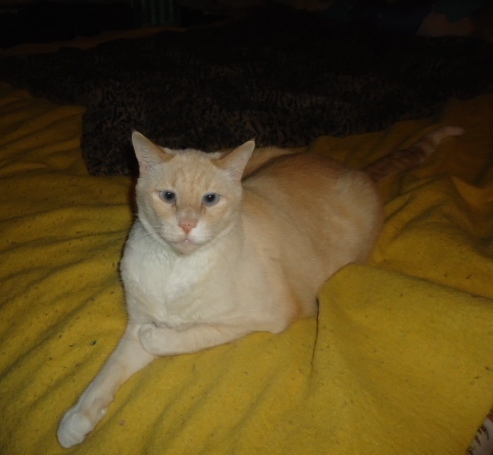 Due to the complications of cancer and kidney failure, Sam departed this world to go to his heavenly home. Sam was sent by God to accomplish His purpose and in so doing, he taught the Father's love, friendship, and patience. His parents are at a great loss because of Sam's absence, and they look forward to the day when they will once again be reunited with Sam in eternity." TOSCA how I miss you! 1997-2006. We will meet again! My sweet friend Whit! I used to be his caretaker. We had so many good times together! I miss him so much but know without a doubt we will meet again! I love you so much, Whit! I miss you so much my darling. I know, O' yes, I know we shall meet again! misses you & loves you so much! I still hurt for you baby. My ministry is dedicated to sweet Missy who showed me the way. 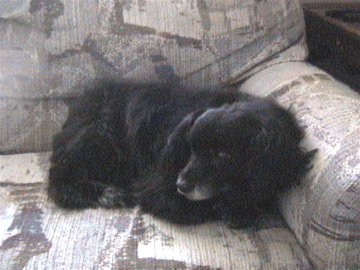 Missy 1991-2006. We will meet again! Feel free to call or email your Chaplain. 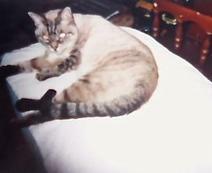 Princess 1995-2007"Princess your Daddy & Mommy miss you so much. You enriched their lives more than words can express. Princess they'll meet you on the rainbow bridge. You're free from pain now in the arm of Jesus'! Stonewall went to heaven on 8/1/2007, Cancer had may have won the battle against his body but it could not take his soul. He was 11years and 6months old. 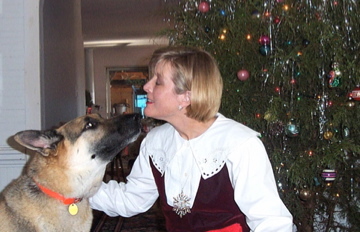 This is a photo of Melanie and Stonewall during one of their special Christmas holidays! "Stonewall your Mommy misses you so bad. Please watch over her and I know that you'll knock her down with kisses when she meets you again in heaven!" May 1996 - August 13, 2007 Chelsea and Sophie. I am so sorry you had to leave for heaven in such a tragic way. Your Mommy loves you so much and misses you in a way no one could ever understand. I know you are safe with our Lord now. I know you will watch over your Mommy until you meet again in heaven. Lucky, I am so sorry you had to suffer before your soul left your body to be with Jesus. Your Mommy & Daddy miss you so much. Please watch over them as I know you will. And O' what a homecoming the three of you'll have one day when they cross that bridge where you'll be waiting. God Speed, Lucky! A new angel entered Heaven's Gate just as we were closing out another year on earth.DominoIt was so hard for his Mommy to let him go he was just a baby not even two years old. But you know what, she didn't let Domino go not really, she only let his body go his soul death could not steal!! !Is it not symbolic that just as 2007 ended Domino was born anew in heaven? "Janeice don't worry you will see your baby again!! !I also look forward to the day I can hold him in my arms! God speed, Domino!!!! In the space of time 15 years can go much too quickly. A life filled with such love how can sweet Ticco be separated from her companions'? O' but the good new is to be absent from the body is to be present with The Lord! 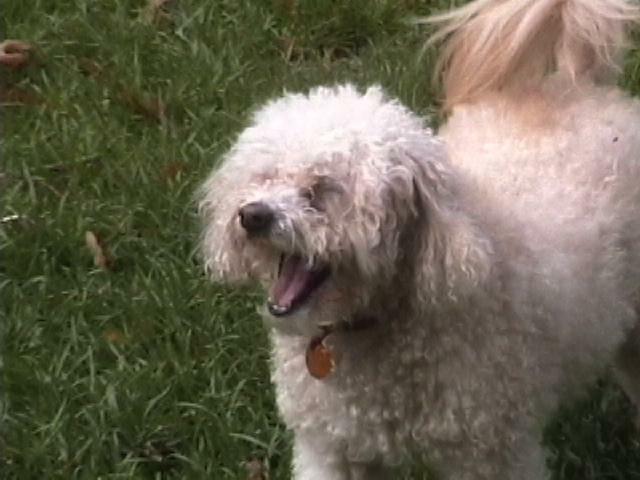 And yes, that does included the animals no matter what we've been told!Ticco, I know you are now in heaven with The Lord Jesus and you have been made whole again, forever free from pain. Your soul is still dancing with your Mommy and she shall meet you again! Sweet Axl went to heaven suddenly last week ( week of Oct 18, 2010). 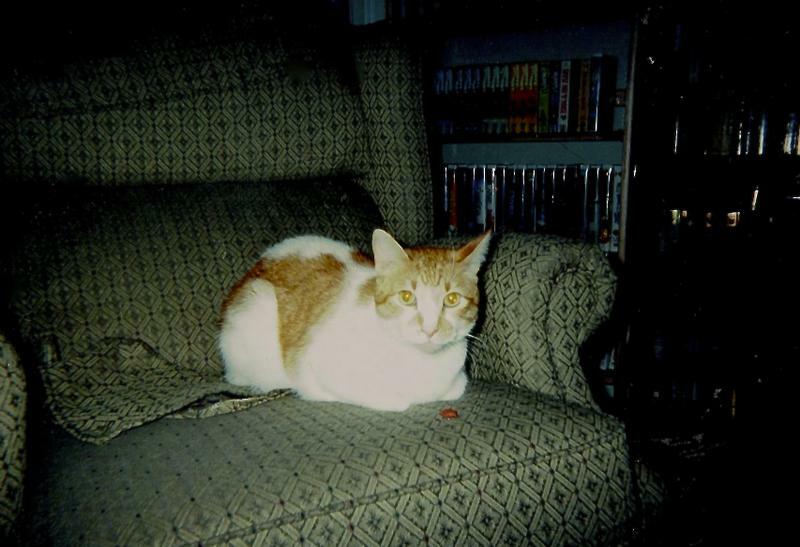 He is so missed by his Mommy and his feline sister, Ashley. Heaven seems so far away but this sweet boy is never faraway from his family. You all shall meet again! 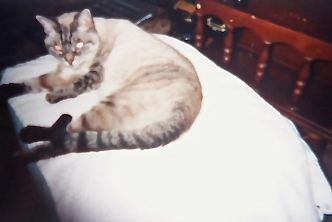 Pena'I cared for Pena' along with Missy whom I have dedicated my ministry for several months in 2005.A couple of months ago Pena' entered Heaven's gate where I know Missy was waiting for her. Pena's Daddy misses her so much but he will see his darling again! Earth's loss is heaven's gain. Millie died in her Mommy's arms. Millie fought a hard fight against cancer but now she is in heaven with her Grandpa and of course, The Lord Jesus. Hope, you shall meet your precious Millie again. Remembering Alicia1998-2011 It is with deep sadness that I announce beloved Alicia left this earth in the wee small hours of Saturday morning April 16th, 2011. After so bravely fighting cancer she doesn't have to suffer anymore. Her Dad, that loved her so deeply in is deep mourning please brothers and sisters pray for him. God speed Alicia until we meet again, we shall meet again! 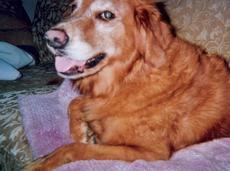 Was a wonderful life-long companion for his Mommy and his mate "Porkchop". Please let's pray for them both for they're in the mist of great grief.Jesus once said heaven and earth would pass away but his words wouldn't. 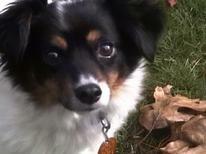 Likewise disease and tragic events may claim the body of our loving animal companion's but it cannot steal their souls. You shall meet again! 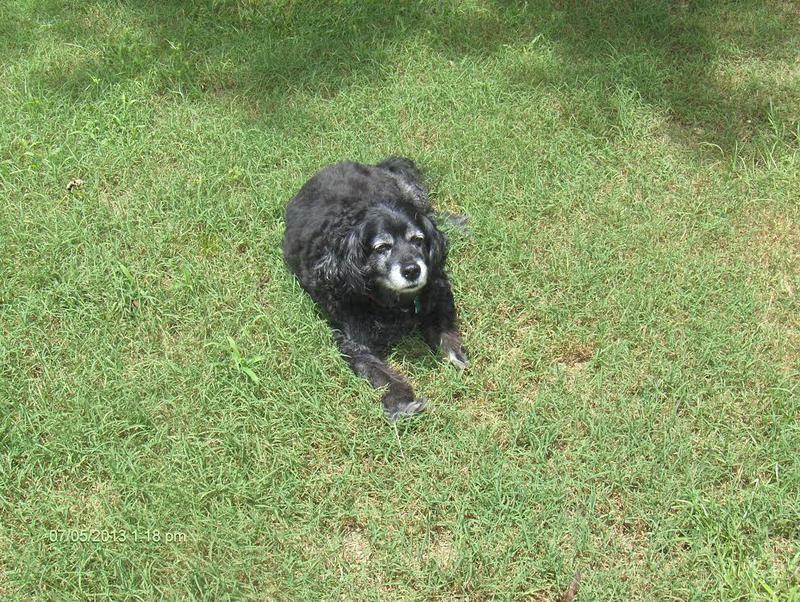 On August 17, 2010 sweet Rocky left this earth for heaven. He fought so hard against the cancer but it was time for him to go. 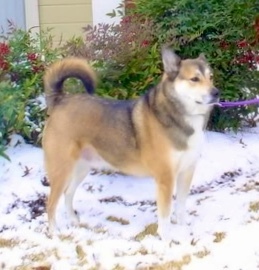 He is survived by his Mommy and Daddy and his canine sister Bonnie who love him dearly and even though they know they will see him again, they still miss him in a way so few can understand. God Speed Rocky we shall meet again! Sometimes love is so special we can't imagine living one day on this planet without it. I think that's how Holly's companion feels right now. Please let's all pray for Holly's Mom for she is in such grief with Holly passing into heaven last Saturday, September, 19,2009. Holly fought so hard to stay alive, she was so brave and faced her illness like a true lady.Praise God for we know that this is not the end. Those that loved her shall meet Holly again! You were truly a gift to me from God and now you are a treasure in Heaven. I always told you were my best furry baby girl in the whole universe and how I loved you and how much God cares for all his creatures . You walked this road of life with me, went through deaths of my immediate family and close friends, trials, and all the Joyous times in my life. After being a mom yourself you got to be with me when I finally became a mom in 2008 by being blessed By God to adopt two precious gilrs from Vietnam. I am glad you got to know my little girls before you left. Now, I know you are resting and without pain, and with my family in Heaven. We will see each other again in God's eternal home. Written by Tinky's Mom. Glad to receive your sympathy card. 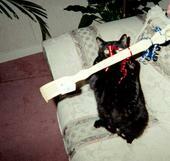 Houdini was born July 22, 1998, and died April 16, 2010. 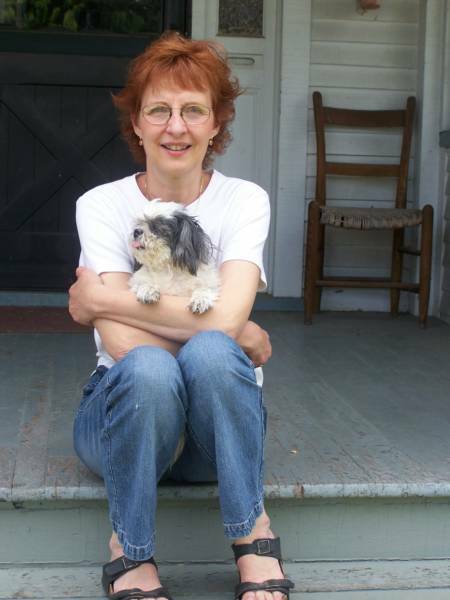 Dini was loved very much by Charles and Marilyn Satterfield and others. He was very special to everyone he met. He was gentle and glad to meet strangers and family. He let us know what he wanted without saying a word. 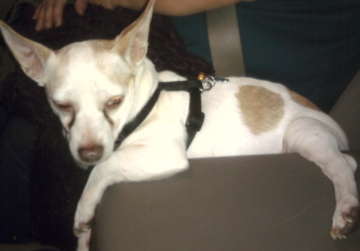 He liked to ride in the car and look out the window. He always got excited when we said, "Get the halter" because he knew he would be going somewhere. He liked to ride in the golf cart and see the other animals. We will miss him. Thank you for your concern. 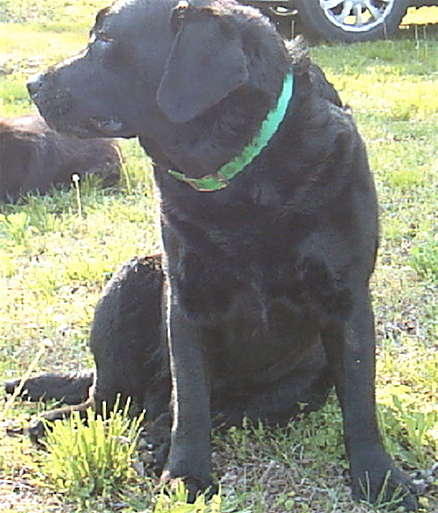 Sweet Little Angel Girl "Spooky"went to heaven yesterday, June 23, 2010. 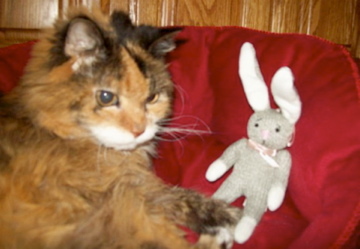 Spooky graced her Mommy Jan's life for 17 years. Please let's all pray for Jan because she misses her Angel in a way that few can understand. "Jan, you will see Spooky again in heaven"! We are never ready to let go of our beloved loved ones animal or human, it's all the same. 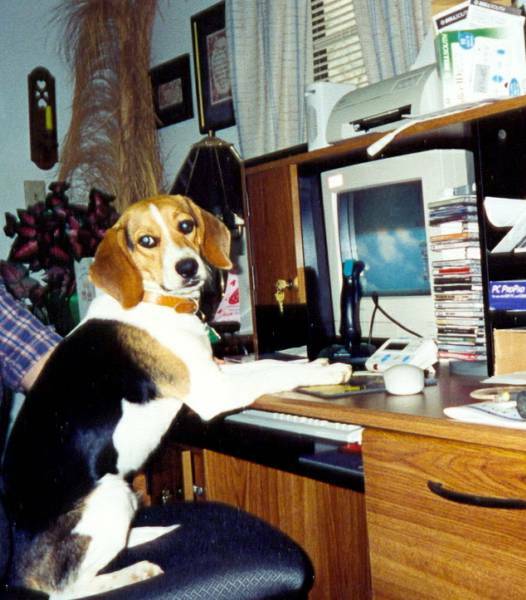 Even though Spots lived a long life it still wasn't long enough.Yet, I am here to rely the message that we shall meet Spots again. He is safe with Jesus in heaven. 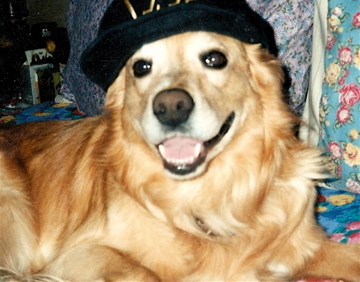 It is with deep sadness that we remember the passing of sweet "Bodhi" who left his family the week of October, 17th, 2011 and he left for heaven much too soon. Here are some words from his Dad, Lee. "Bodhi was a tender heart and loyal soul. I called him my "little one". Bodhi may you receive all the love in heaven that you gave while you were with me on earth"
Remembering sweet Asher who left us way to soon. 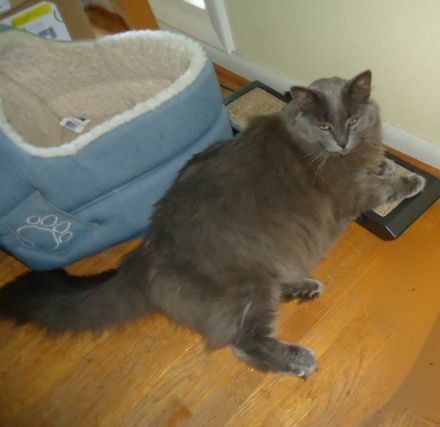 I was Asher's pet sitter from the moment he was adopted from the Humane Society. He was such a sweet boy. His family misses him so much as I do. Our solace is that we know that we will meet again. God speed Asher we love you so! 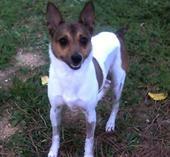 The Lord Jesus called sweet little Angie home on May, 31st, 2012. 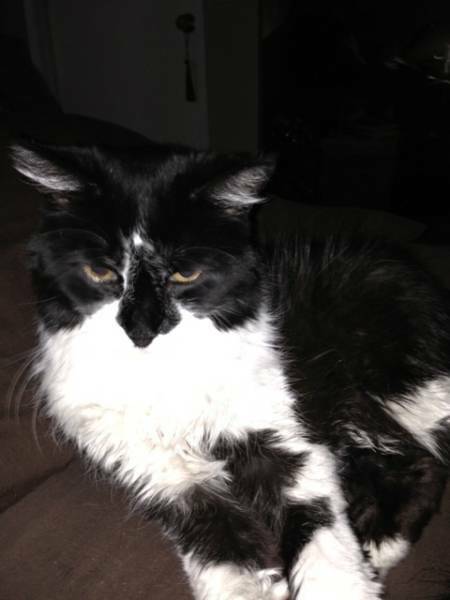 She is survived by her feline adult son, Jackie Jr. & her human companion Gary. She will be greatly missed but we know we will see her again.God Bless You, Angie. 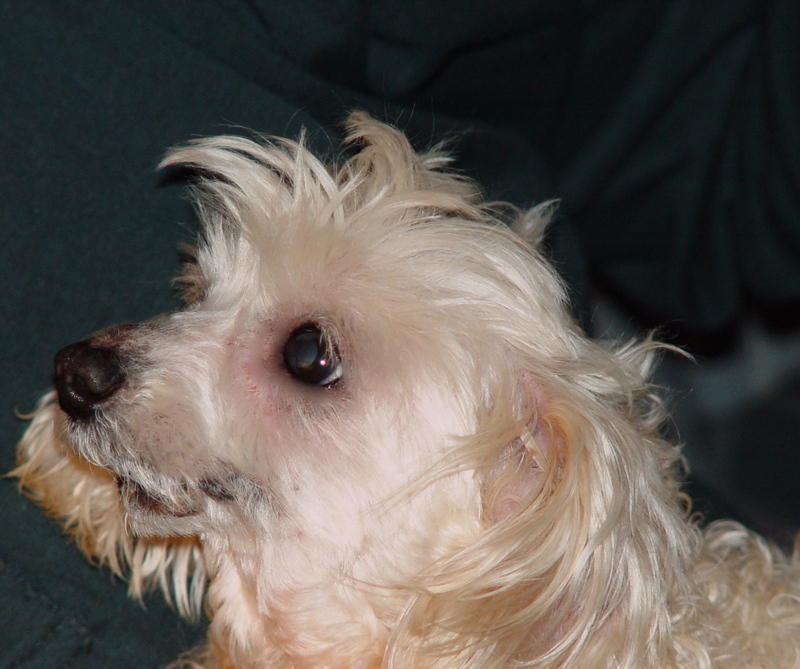 It's so hard to let go of a dog that had as much life as Trixie. But thank The Lord Jesus we don't really let go, well not for good, because we know animals have souls and we will meet them again in the here after! 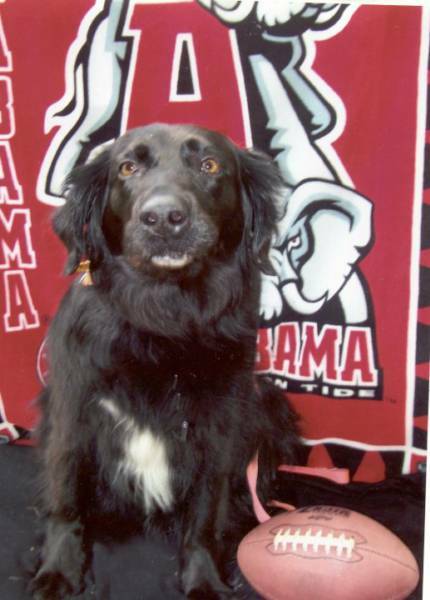 I bet Trixie is shouting a big "Roll Tide" to her Dad a die hard Alabama Crimson Tide Fan! It doesn't matter who we shout for on or off the football field because we know we are all on God's Team! 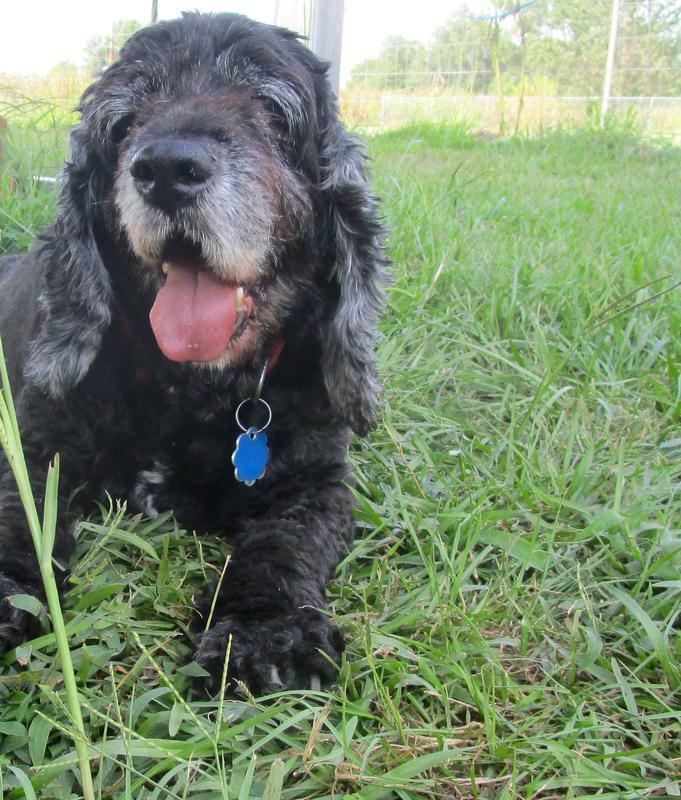 Rest well, Trixie, until you and your Dad and canine sister meet again. 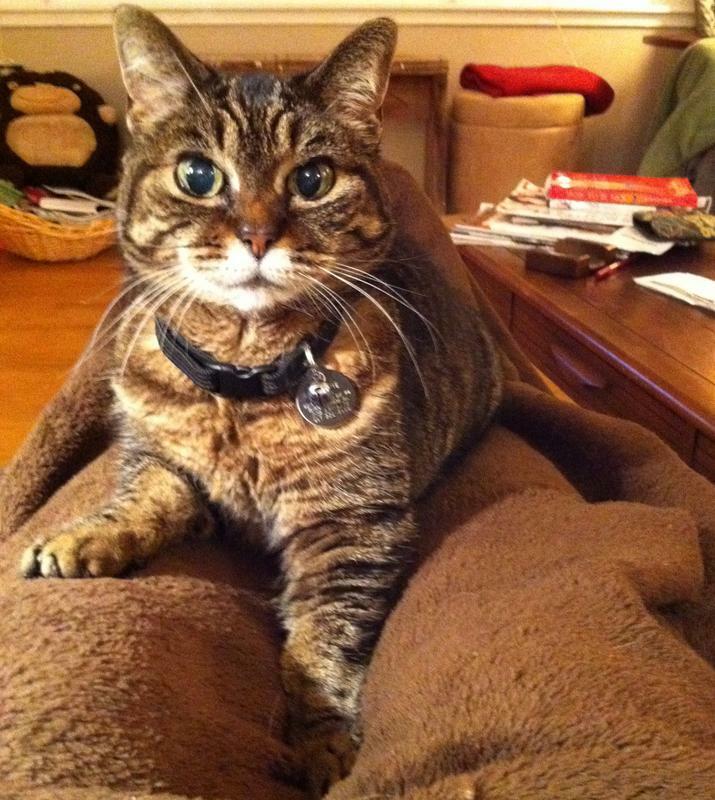 Honoring Salem Elizabeth:A life that is lived with love is always harder to let go of. This fine lady did indeed not only give but received the atonment of love. 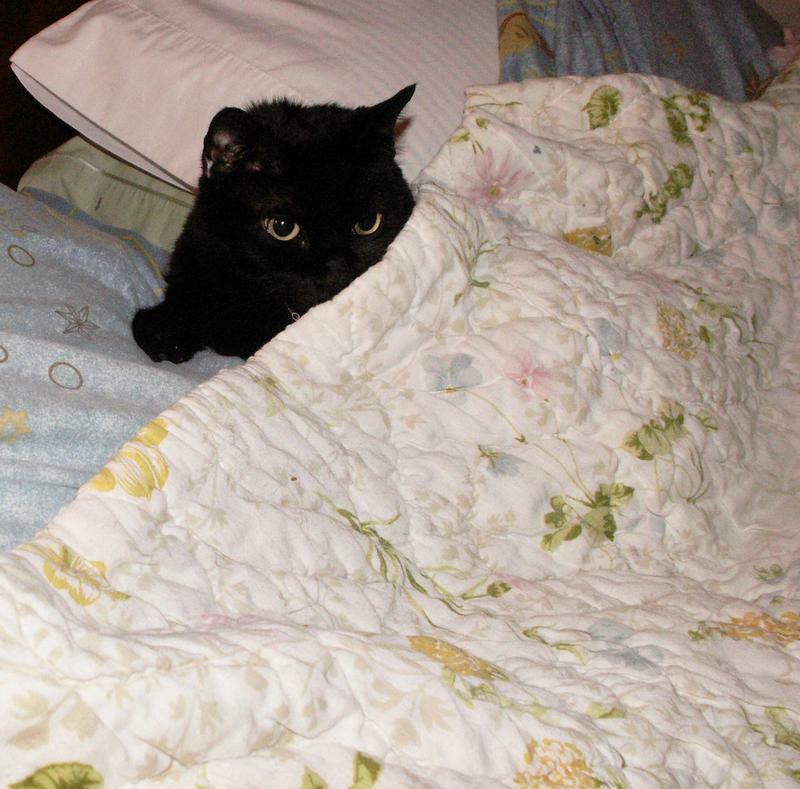 Salem, left for The Rainbow Bridge on Sunday February, 3rd, 2013. I ask for prayers for her Mommy and Daddy they miss their darling so much, but will see her again one day. God Bless. 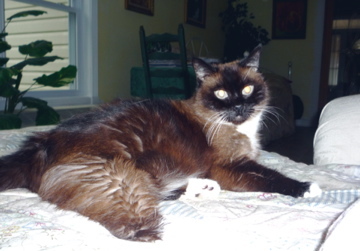 Precious Aspen Adams left for heaven's gate today, March 26th, 2013. Aspen was such a gentle soul never bothered anyone. I'm a little selfish, I'm afraid, I wish he was still here but I know he was ready to begin his new journey from life's suffering. Please let us pray for his Dad my good friend Gary whom is filled with pain now. We will meet again Aspen! 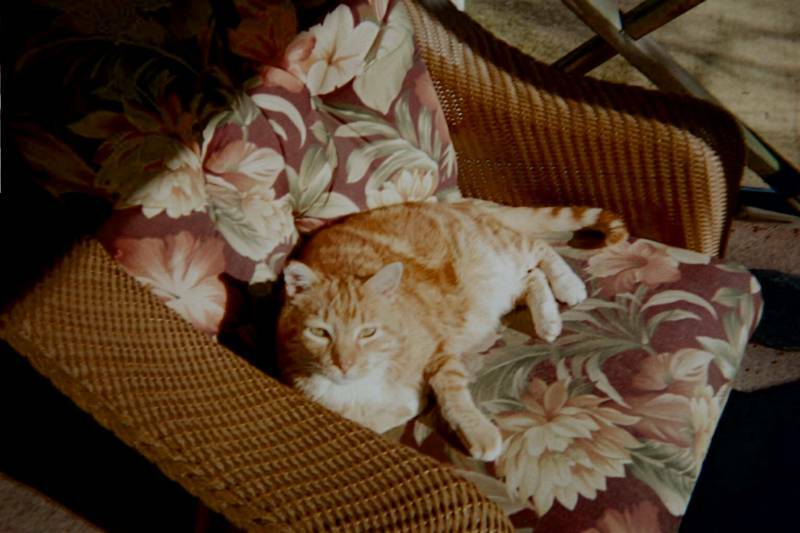 Buster was a wonderful cat that was a 16 year companion to my dear friend Joan in South Carolina. 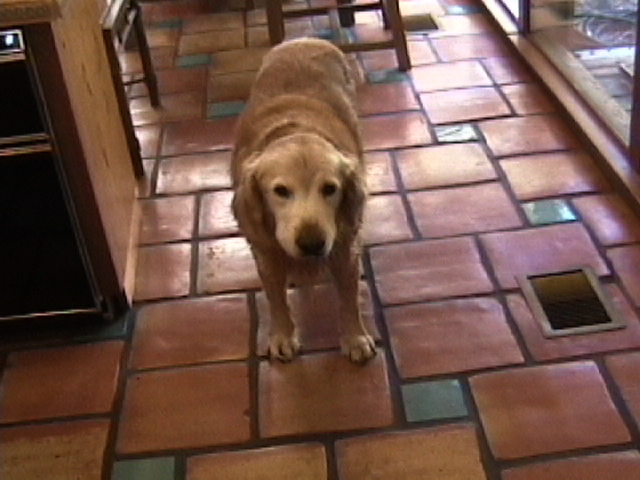 Buster still lingers in his home, in fact, I saw his spirit during a recent visit. Joan, I know without a doubt you be with your baby in Paradise one day. Until, you meet again! Remembering sweet Sammy "Sam Sam"
Jesus said that not even the birds fall away without him likewise beloved Sammy didn't perish but just changed form as he entered heaven's gate. God speed "Sam Sam" I know Glover & Tim will see you again right there on that rainbow bridge where you'll be waiting for them! 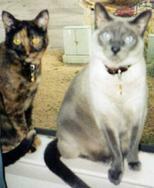 I was Mazik's pet sitter for 14 years. He only left us this past Thursday. He was a very special boy! 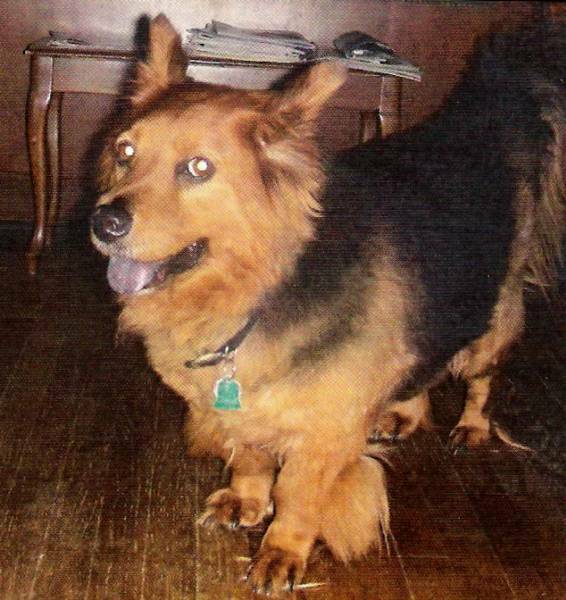 Mazik was very loved by his family and especially his chief human companion. My prayers are for her for she misses him so. Yet, this is not the end they shall meet again! Godspeed Mazik! 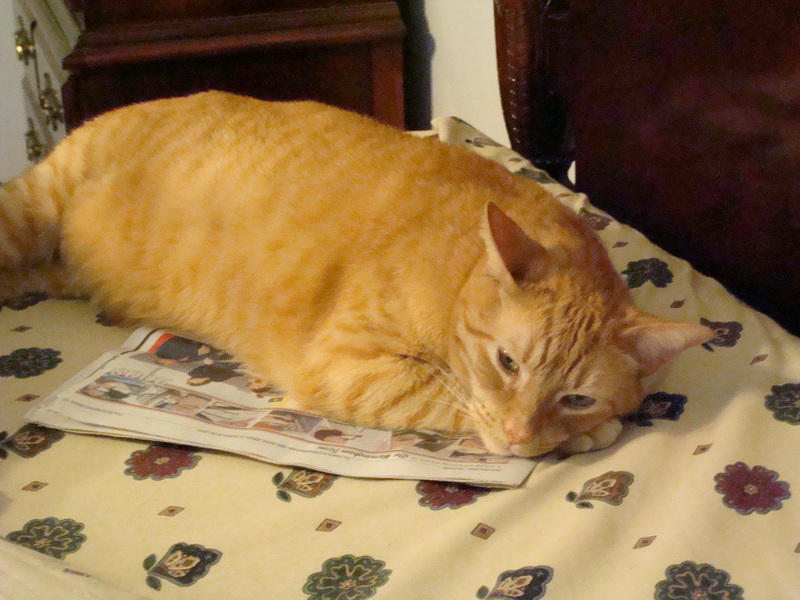 Jackie Jr. was one of the sweetest cats I've ever known. Jackie was born in Selma, Al and spent his first years there. He only left us yesterday so the feeling is quite raw and unreal. He was my best friend in the world Garys'boy. Please pray for him this is a very hard loss. We know Jackie is in heaven and we will see him again but it hurts like hell. Jackie was and is so special, a once in a million companion. We love you Jackie until we meet again and we will meet again! Another one of God's Angels left his family last week. April, 10, 2015. 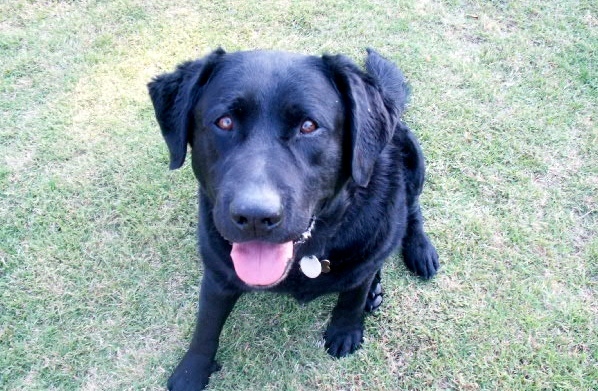 Max was very special to his family so very much loved and protected. 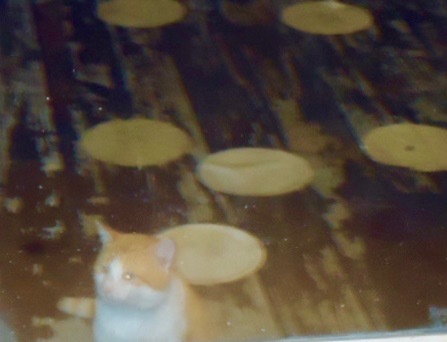 Because in his first home he had suffered abuse. Yet when Miss Beverly rescued him from being put down all that changed. The last years with The Conner's Max life was great! He was able to leave this world for the next on a high note! Beverly told me that Max brought out the very best in her and I do believe Max would say the same about his Mommy. God Speed, Mr. Max. I know you will all be reunited in heaven! my beautiful shadow. She followed me everywhere I went. Bonnie made my life so sweet. She gave me purpose. be by my side. She was my riding partner. She loved to ride. be the same without Bonnie. She made life so much better. 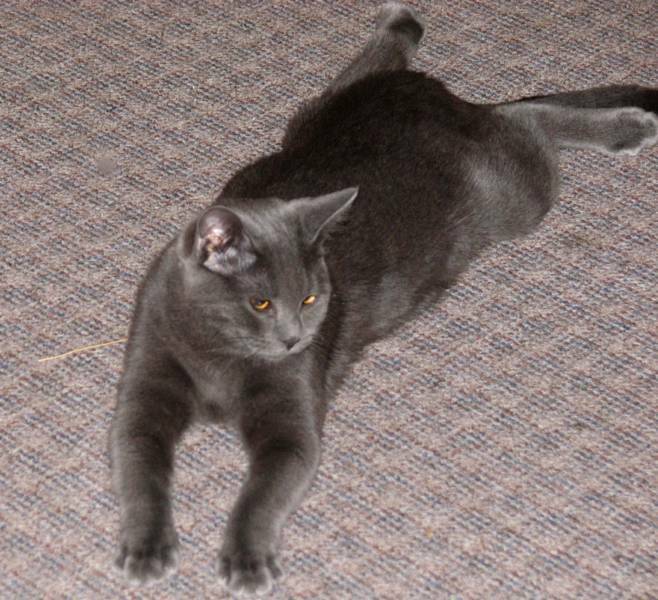 Little Storm was just getting started his mother had him and several siblings in Beverly's yard. 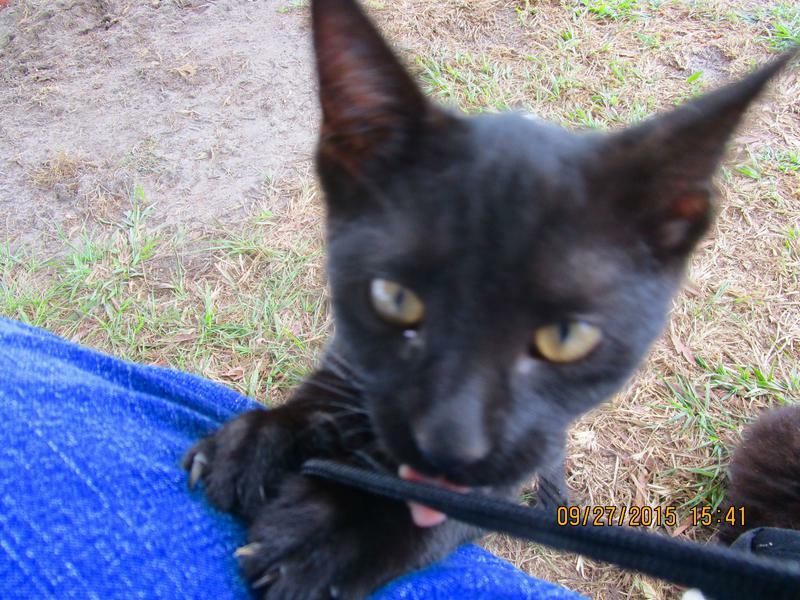 She had gotten his Mommy altered and was going to find him a forever home but sadly he was run over on 10/07/2015. I know he's in heaven now Yet, I thought his short time here deserved to be remembered. God bless you sweet fellow. 1993 - Dec 26, 2015. 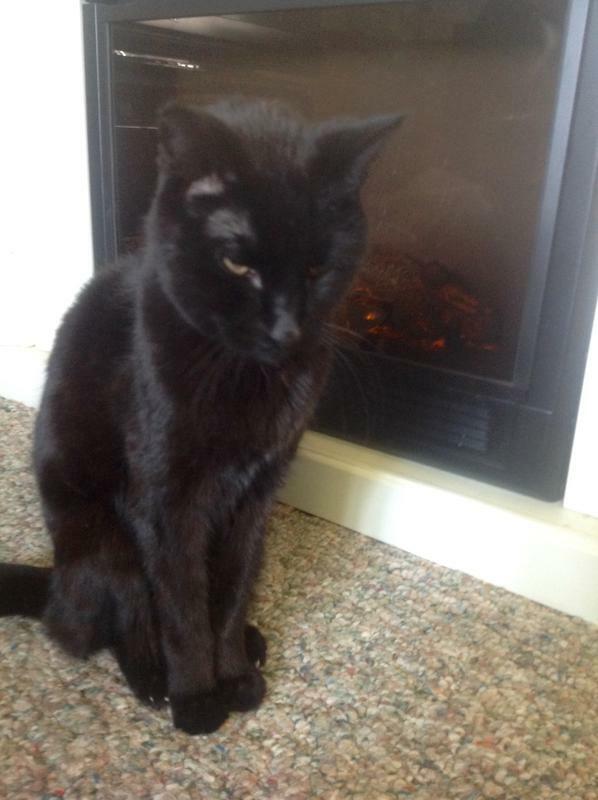 Please brothers and sisters' let us pause to reflect on "Blackie's" wonderful long life here with his human companion, Scott. Let us pray that Scott's sorrow shall turn to see the heavenly realm where "Blackie" has been reborn a mere day after we celebrated the birth of Christ. Is it a coenciedence that the two dates are so tied? 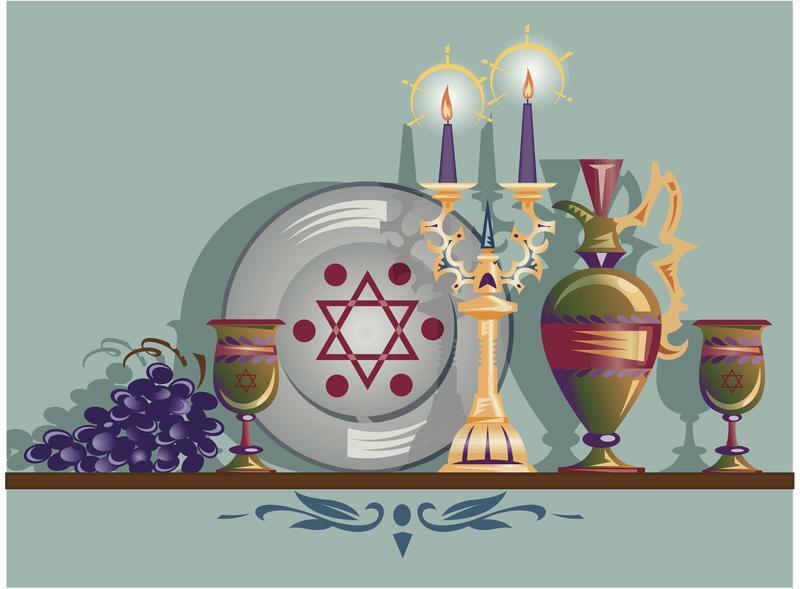 I would submit of course it is no accident, merely a sign for Scott to know that the dates were chosen by the spirit to give assurance to him of "Blackie's" everlasting life, and to know they will indeed meet again! Happy brand new birthday "Blackie"! It is with a heavy heart that I announced that Katie passed away without warning on Thursday April 21, 2016. 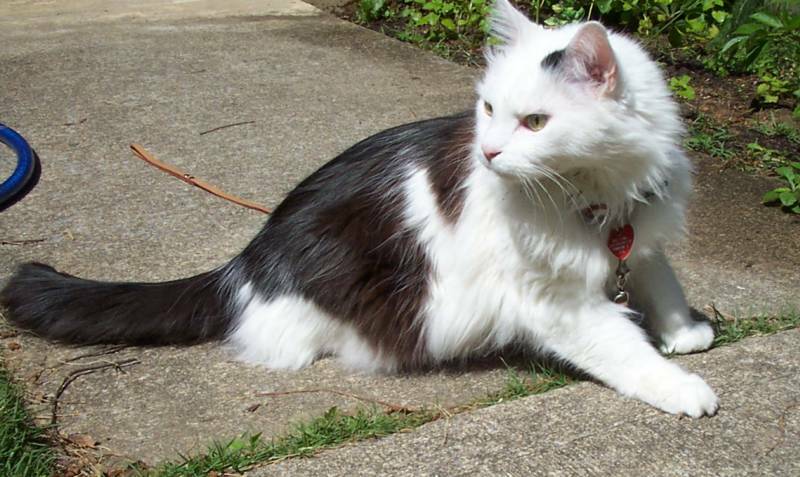 Her Human Companion, Gary found her when he came home from work, she was so healthy so this is a terrible shock. Please pray for him my friends. 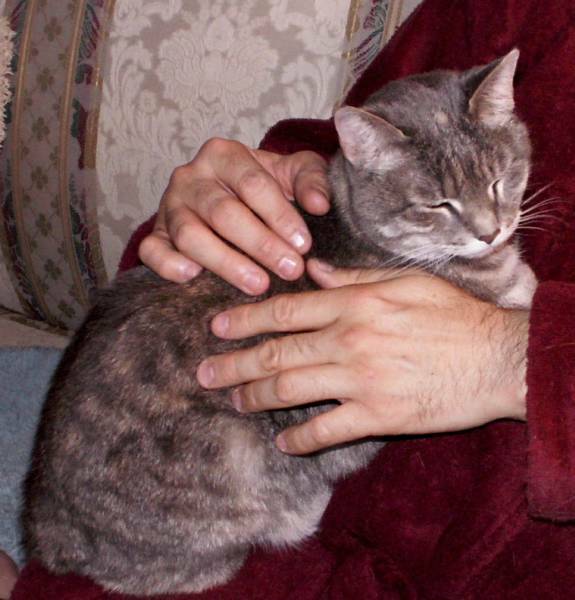 This is a photo of your Chaplain holding Katie shortly after she was adopted by Gary. 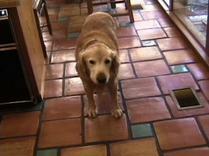 "Katie I will miss you so bad sweetheart I love you so much. Gary you will see your sweet girl again! Godspeed Katie"! Some loss and passings are harder than others. Sweet Amadeus passing is especially difficult. 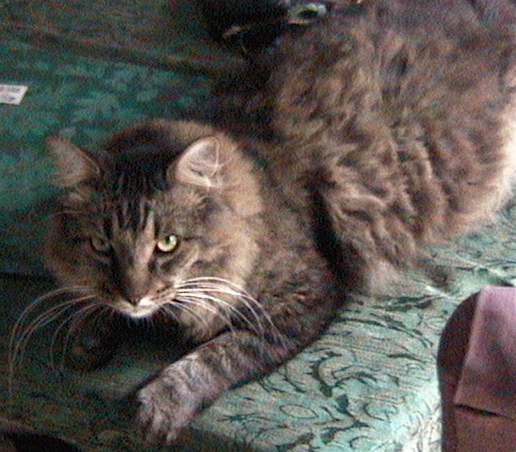 He was in the prime of life but the feline virus called FIP reared its ugly head and took this sweet boy so very fast. He was one of my precious Angelica's babies. I rescued them when they were only three days old. He was always an inside cat and only knew love. He is survived by his litter mate Ulysses and his wonderful Dad, Gary. I pray for Peace for Gary and Ulysses. "Amadeus I know we shall meet again and we can't wait to see you again. God Speed! We love you so much". 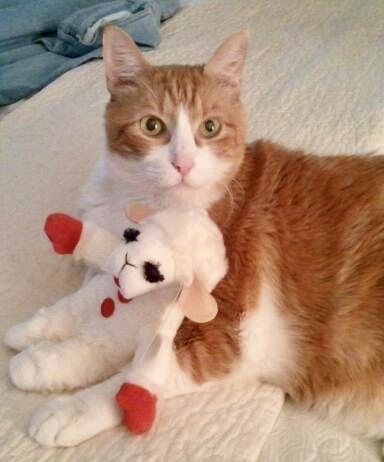 Sweet Henry was so special. He was a special friend of mine from Twitter! He has such a special family in NC. Even though I never met him face to face I felt I had known Henry always. 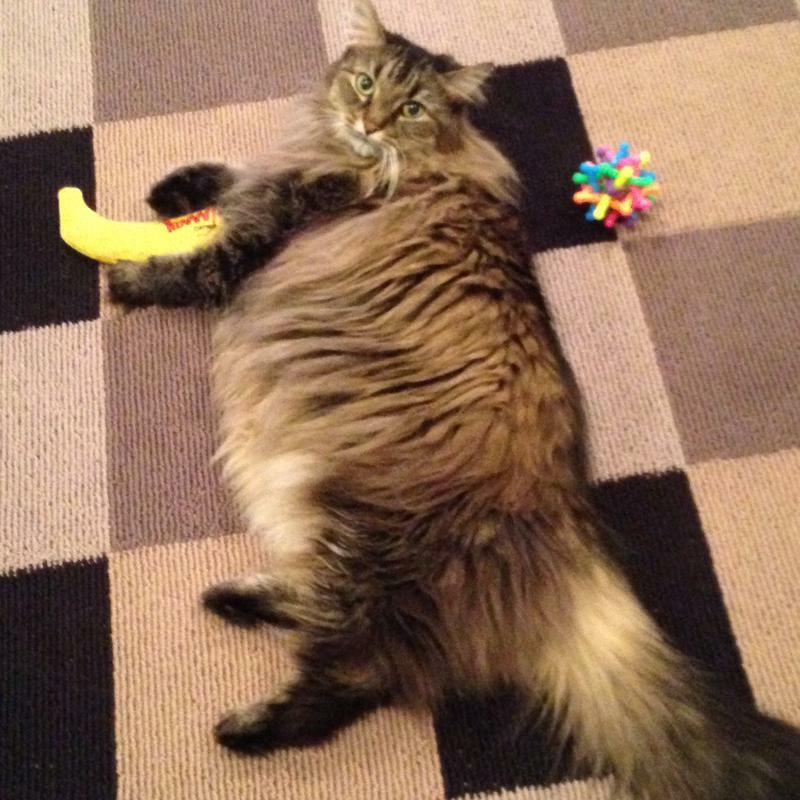 He had that terrible FIP Virus that Amadeus had. He lived two years longer than he was supposed to. Please send prayers to his family they are so sad. "I know Henry, we shall all meet again! Godspeed sweet friend of mine". 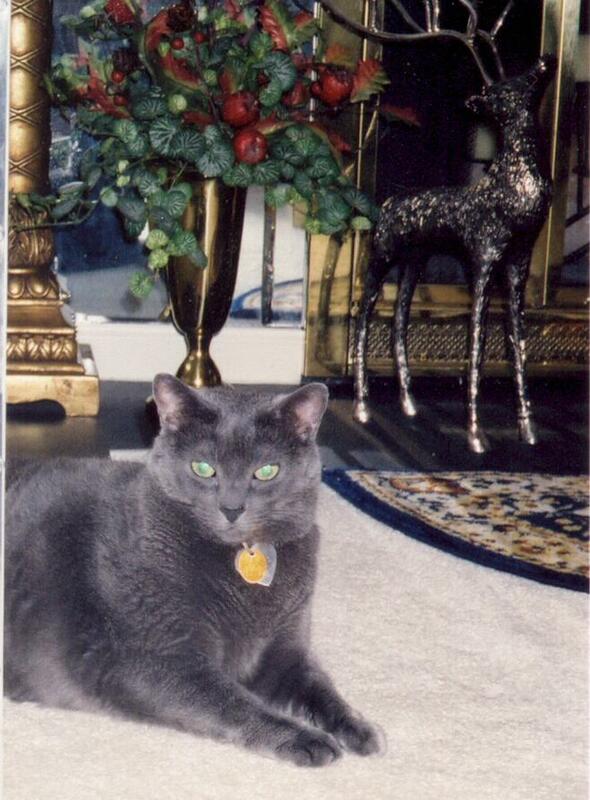 On Christmas Day 2016, I learned Shadow whom I pet sat for several years had passed away to cancer. It was a shock. 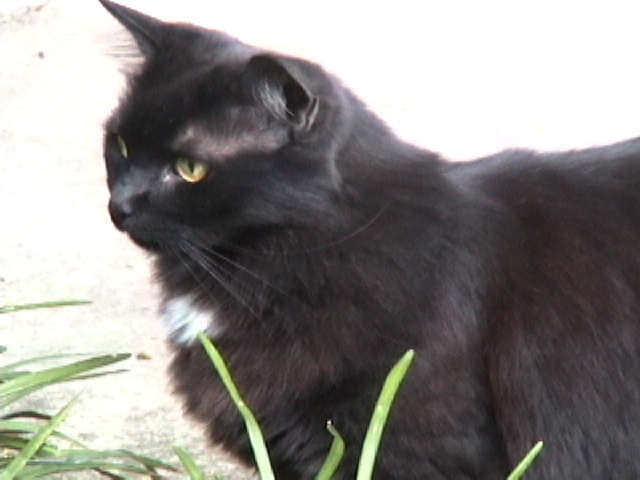 Shadow was a survivor of Hurricane Katrina. She lived on a roof stop with her brother Mike for two weeks without food. When she got to Birmingham later, she had adjustment issues, but then blossomed like a beautiful yellow rose. 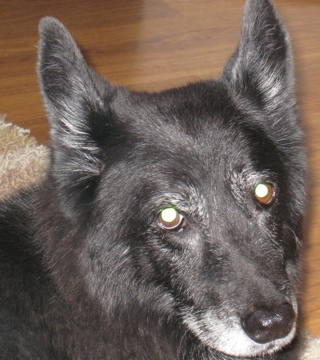 "Shadow, god speed on your new journey and please meet me on that rainbow bridge, I love you forever more, Marcus". 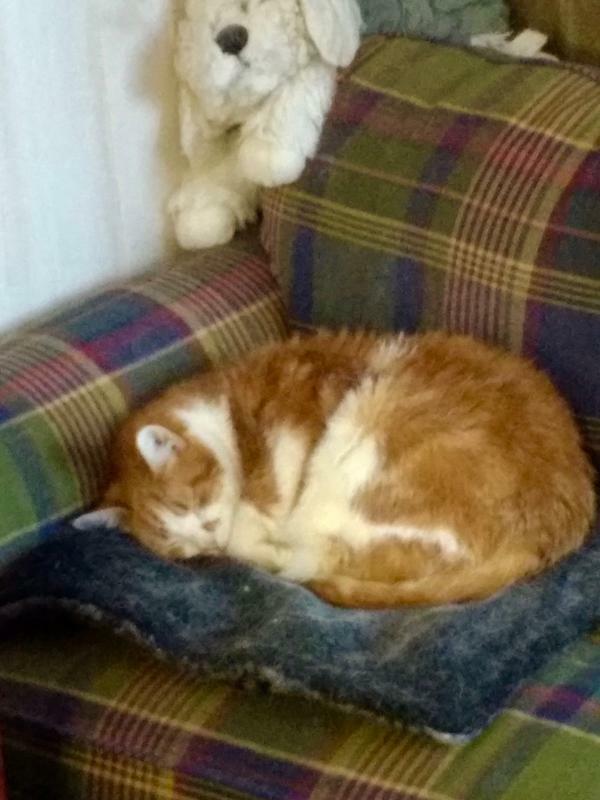 My sweet kitty cat friend Snowcat, passed away from complications of the cancer surgery he had 3 weeks ago on in the wee hours of Monday morning March, 21 2017. 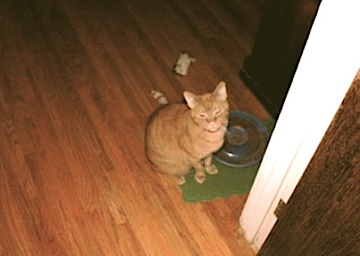 I was his pet sitter for several years. 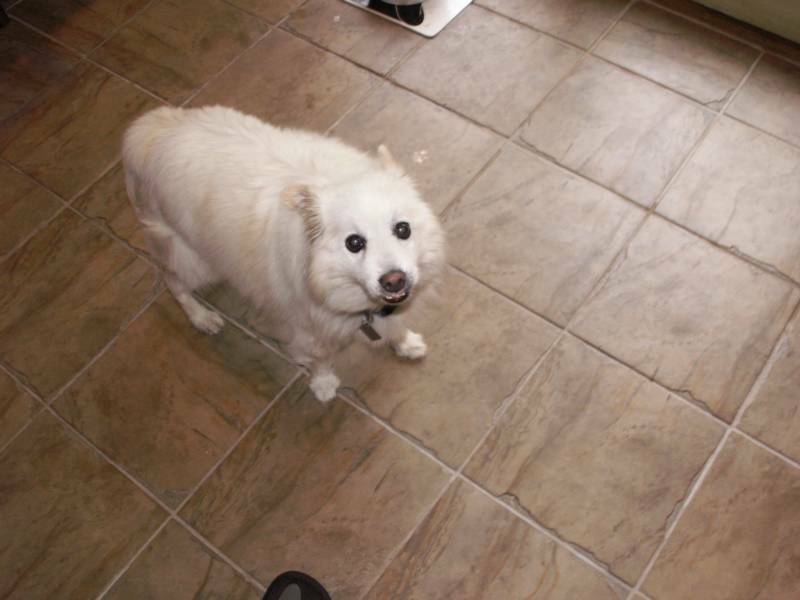 Snow is survived by his brother (litter mate) Cloud Dancer and his loving human companion. I am so deeply sorry for the family. I do believe we will meet SnowCat again. Jack only left for heaven yesterday (May, 3rd, 2017). His absence in this world has left a enormous void for his human companion, Kelley. Jack has a vast history; he belonged to soldier but after he was deployed his significant other put him away in a shelter. Yet, the good Lord had plans for Jack even as he was left in poor condition. Miss. Kelley and her sister rescued him and he blossomed. As his companion put it, "he was our road trip buddy." 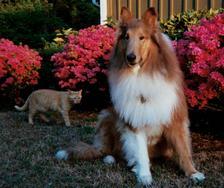 Our beloved pets are never here with us long enough. Yet, the wonderful news is Kelley will meet Jack again in heaven. Because we know all animals have souls. Godspeed, Jack! A very special message from Minnie's Mom. Minnie, who has been my best friend and shadow, died on May 11, 2017 with me holding her. It is with unbearable sadness that I am sharing this news, my heart is shattered. 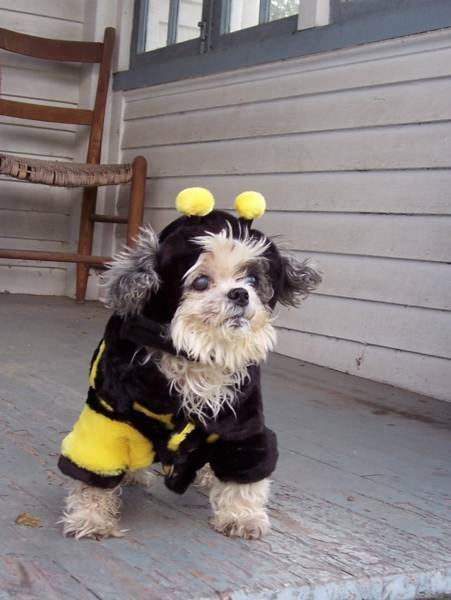 Even though Minnie probably weighed only 4 pounds at her passing, I felt the grief of a hundred tons of spirit. 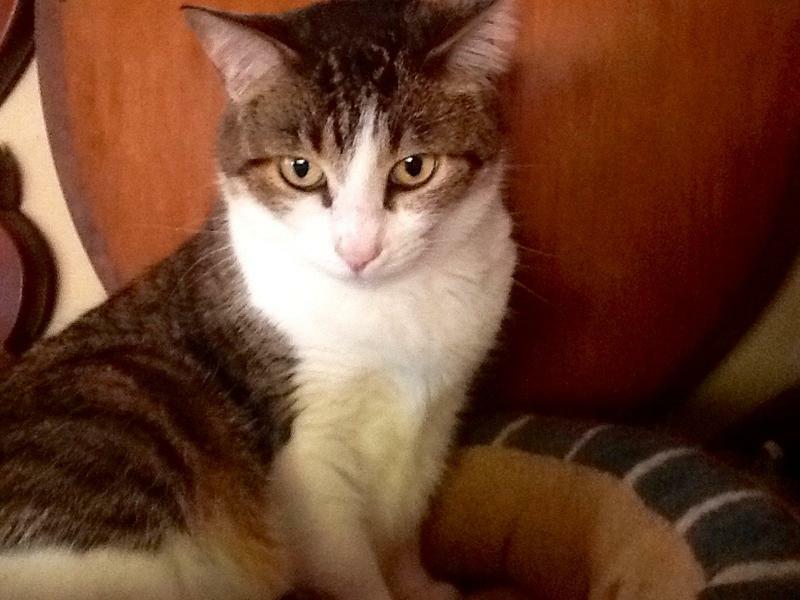 Minnie had cancer, and she had outlived when the vet thought she would die. But I wanted more time. I bargained for it. I prayed for just one more week, one more day. 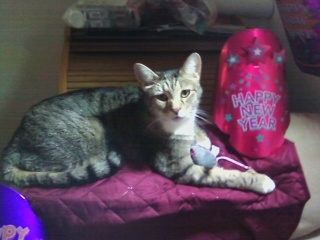 I am so grateful I had Minnie in my life. But it didn’t make it easy to let go when the time came. I still held tight. I even made a few feeble, last minute bargaining attempts. To me, it has been an honor to love Minnie, so much that my heart is broken. It’s an honor to be loved back, too, and I was really loved by Minnie. Unexpected and sudden passing such as sweet Josephine's are devastating. She had been to the vet twice in the past week. She was not suppose to die. As her pet parent Gary, rushed her to the emergency animal hospital on Friday she climb into his lap and died. He is in enormous pain please my brothers and sisters please pray for him and the family. Gary's my best friend and Josephine was so precious to your Chaplain. "I will long for that reunion in heaven sweet darling. Until we all meet again. We will meet again! God Speed, Josey"! 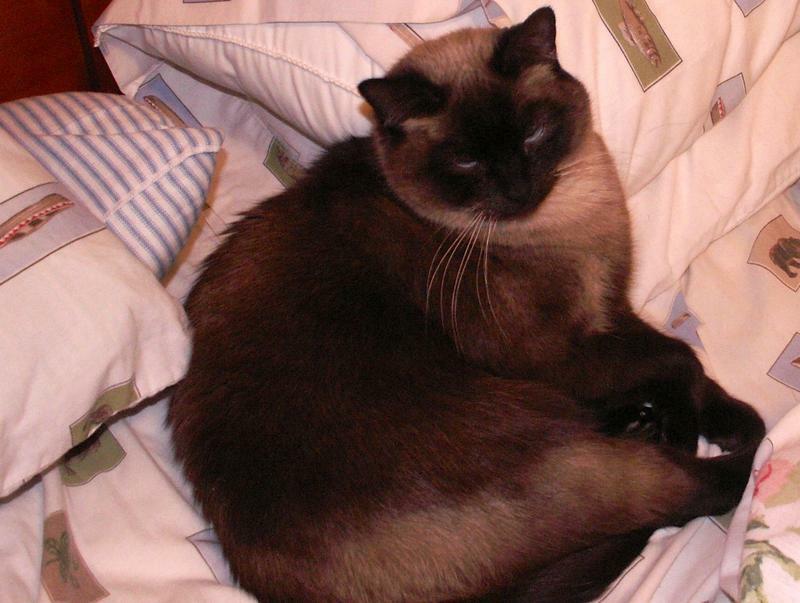 Tom, lived a good long life and was loved by so many. He will be missed; but his humans' will meet Tom again. 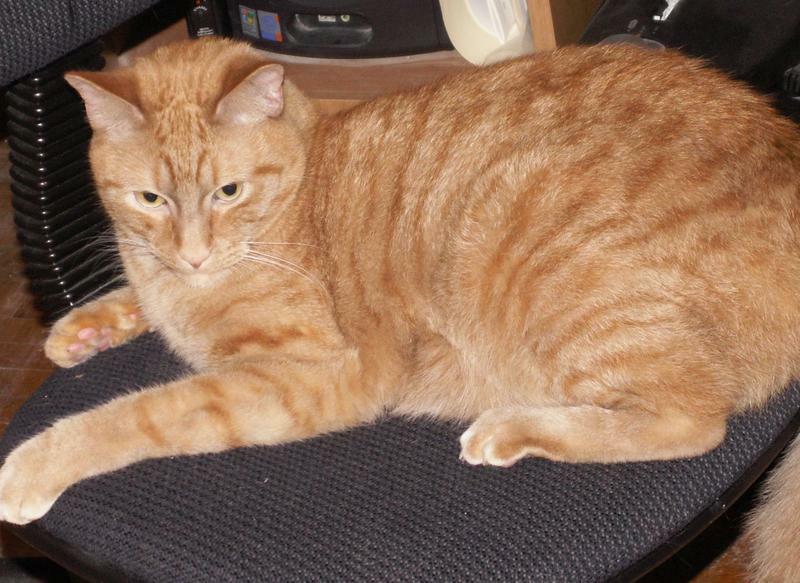 It is with such sorrow that I announce Ulysses passed away yesterday from Kidney Disease. He was so very special a sweet precious cat. I rescued him, his Mother, and siblings when they were three days old. My friend, Gary, adopted Ulysses and his brother Amadeus. We lost Amadeus two years ago, Ulysses was so much like his mother, my Angelica who I adopted. Please friends pray for Gary he is in deep grief. Yet, I know this sweet boy is now with his mom and brother. Ulysses we love you so much and I know we shall meet again! 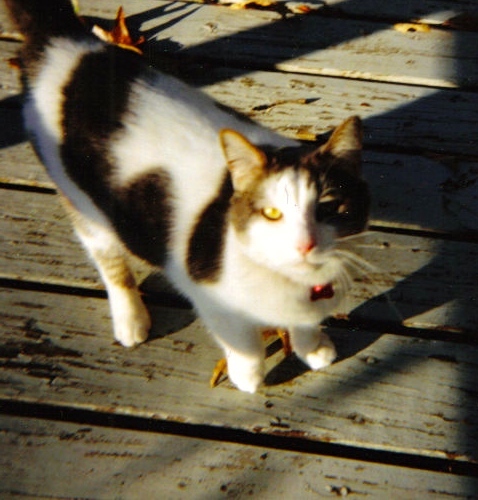 "Kitty" left for heaven on 9/12/2018. This was sent anonymously via text to my email. 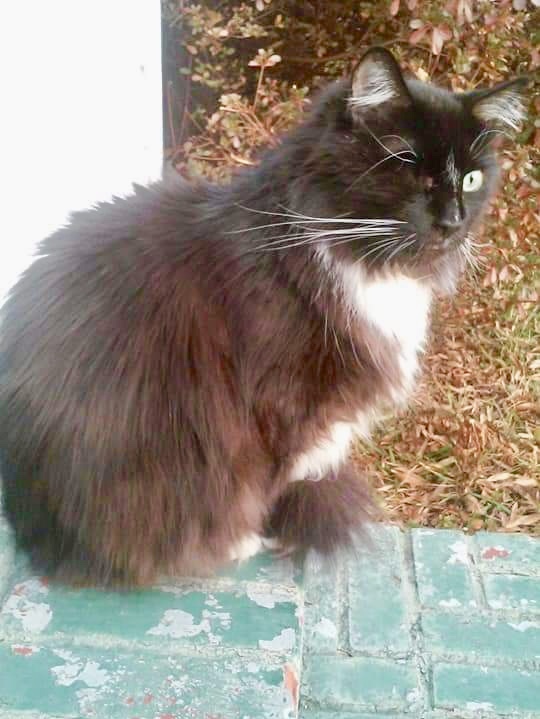 What I know is this beautiful cat named Kitty was a dear friend of the person that contacted me. I would like to say to them I know you will meet your friend again one day. May The Lord truly bless you and Kitty for this special bond. One of the hardest things is to let go of your loved one. 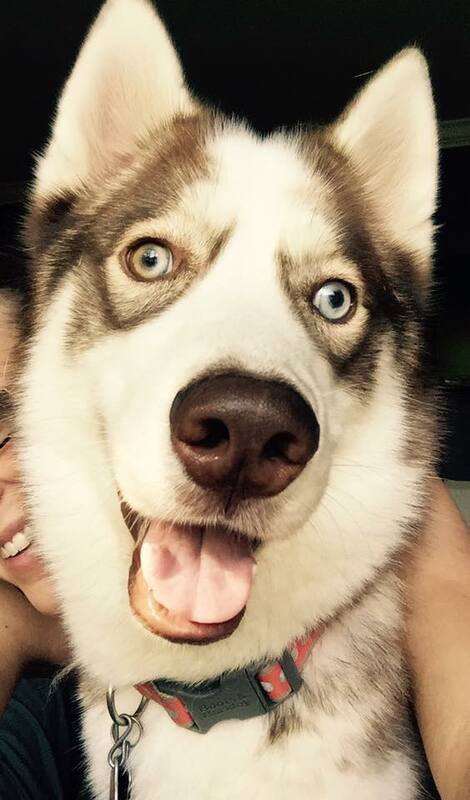 Alpha, was such a sweet gentle soul that loved everyone. He loved the touch of his companions' scratching his fur. 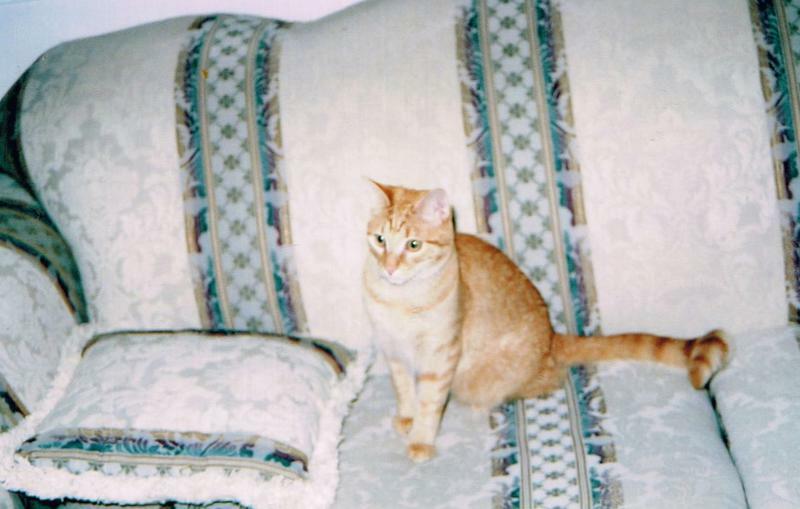 His family especially his human Mom and Dad, Gail and Parker gave him such love and always a great home. 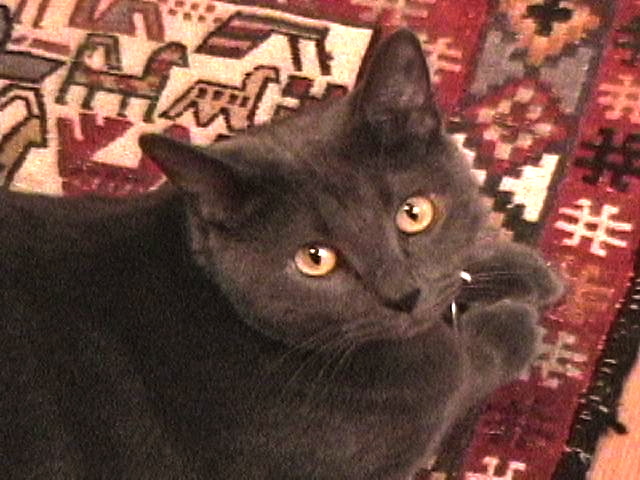 In his first couple of years I was his pet sitter and I always remember Alpha's quiet sweetness. I pray for his family now but the good new is his spirit is now with our Creator and we will all see him again! Godspeed sweet one we love you Alpha. Remembering precious Declan Adams that vanished from his loving home in 2018. He so very much missed by his human one. I know he is with our Lord and Savior and that he will be seen again on that bright sunny day on the rainbow bridge.